The McKenzie Method, also known as Mechanical Diagnosis and Therapy (MDT) is an assessment and treatment philosophy focusing on active patient involvement and patient education for back, neck and extremity problems. The initial assessment is one of the outstanding features of this particular method. The initial visit includes a detailed assessment which is performed by a specially trained physical therapist. The therapist is able to accurately and safely reach a PT diagnosis / McKenzie classification and then make an appropriate individualized treatment plan based on his / her findings. The therapist will quickly know if this approach will be an appropriate and effective method for each patient. The therapist places emphasis on patient education and effective self treatment from day one of the PT process. There are 3 major steps to the McKenzie process. The mechanical examination is performed in a very methodical way, which looks at the patient’s response to various positions and repeated movements. The patient is then classified into one of three categories: derangement, dysfunction, or posture. A detailed McKenzie assessment can eliminate the need for expensive tests. Derangement is the most common of the syndromes. The conceptual model involves an internal articular displacement that causes a disturbance in the joint which produces pain and loss of normal joint movement. During the examination of the client, sustained postures and repeated movement testing will result in rapid and lasting changes in pain location and intensity. Appropriate exercises chosen by the PT will result in a reduction of symptoms and eventually abolition of symptoms. If the client has peripheral symptoms down the leg and/or into the foot, then he /she will go through the process of centralization. According to McKenzie, centralization is defined as the phenomenon by which distal limb pain emanating from although not necessarily felt in the spine is immediately or eventually abolished in response to deliberate application of loading strategies. Such loading causes an abolition of peripheral pain that appears to progressively retreat in a proximal direction. 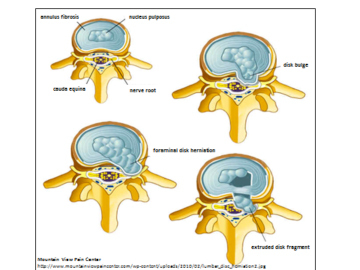 As this occurs there may be a simultaneous development or increase in proximal pain. Dysfunction is a syndrome in which pain is produced by mechanical deformation of structurally impaired soft tissues. Pain is perceived when these abnormal tissues are loaded. Pain is consistent, occurs at the restricted end range, and abates once the loading ceases. Abnormal tissues include the following: contracture, scar, adherence, adaptively shortened tissue, or imperfectly repaired tissue resulting from a previous trauma or a degenerative process. 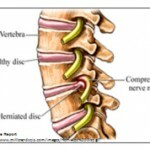 In the spine, dysfunction can affect peri-articular or neural structures. 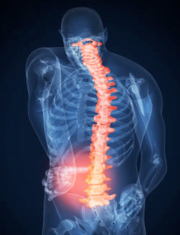 Postural syndrome is characterized by normal soft tissues becoming painful after prolonged postural stresses. 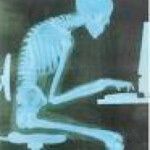 The classic presentation is sustained slouched posture causing pain which immediately ceases with posture correction. 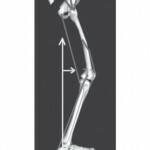 During the PT examination, range of motion is found to be normal and pain free. 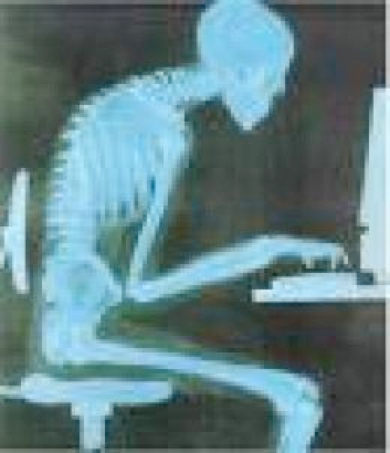 It should be noted that repetitive poor sitting posture can lead to a spinal derangement and become a more serious condition resulting in a loss of range of motion and resulting in pain. Based on the patient’s response to the mechanical exam and the patient’s classification, the patient is able to begin safe, specific and effective exercises to reduce / abolish the patient’s symptoms. The goals of treatment for each of the syndromes are different and the amount of time required to abolish the pain varies. For derangement syndrome, the general goals are to reduce the derangement, maintain the reduction, recover function, and prevent future derangement. For patients with derangement classification, preferential direction exercises are prescribed. Preferential direction exercises are mobility exercises performed in a specific direction with an appropriate loading strategy which will be different for each patient. When the derangement is reduced, pain will be abolished and motion will be restored. It is common for pain location and intensity to move around during the process of derangement reduction and the time required for reduction varies per condition. The primary goal for dysfunction syndrome is to remodel abnormal tissue (foreshortened tissue/scar tissue) over time (weeks to months). 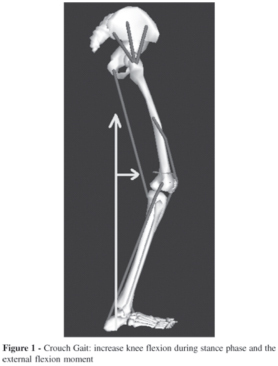 Their exercise prescription requires patients to repeatedly move to their end range of available movement with the goal of increasing their range over time as abnormal tissues remodel. Posture retraining is required to abolish the pain associated with postural syndrome and is achieved immediately with posture correction. The therapist always educates the patient on his / her specific home program which will allow the patient to control their pain during their daily lives at home or while on the job. During the rehab process, the therapist requires client feedback regarding symptom response (better, worse, same) to the exercises and posture correction. With this knowledge the PT is able to progress or change your program with certainty. Effective treatment in the clinic and consistent home exercise program compliance result in fewer PT visits as well as lower cost to the patient due to fast and long term results. Prevention is a high priority in the McKenzie process. We will educate all patients on how to treat themselves. All patients will gain the knowledge and tools to take care of their spine and be able to apply these tools anywhere and anytime they have pain. And by doing prevention exercises and performing correct posture, it will greatly reduce the chance of a recurrence of the problem. If a recurrence does occur, the patient will be able to reduce the severity of the pain and length of time of the recurrence. What diagnoses respond well to the McKenzie Method? 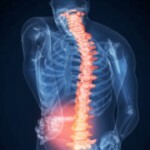 7 Steps to a Pain-Free Life: How to Rapidly Relieve Back and Neck Pain.